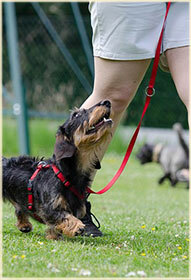 Dog breeders, equipment and other services. DIAMOND P LABRADORS located in northern California Delta area, has produced accomplished AKC family dogs, Hunt Test and hunting dogs, proven field trial dogs and search and rescue dogs. Complete line of healthy dog food and supplements and great info on dog nutrition. Reviews of Dog Food Brands and general dog nutrition. Rescue organization dedicated to placing homeless animals, educational opportunities and Canine Comfort Pet Therapy programs. The East Bay SPCA saves and improves lives for dogs and cats. Bishop Ranch Veterinary Service and Urgent Care. A great resource for training books and videos. 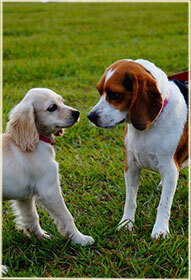 Puppy & Dog Training in 3 comfortable indoor locations along HWY 680 in Dublin, Alamo & San Ramon. Lafayette, Orinda, Alamo, Danville, Pleasanton, Concord, and beyond.